Fresh Air: 10 Cardio Sessions For The Great Outdoors! As summer rolls around, move your cardio workouts outside, taking in the fresh air and providing some fresh terrain. Here are 10 different methods you can do to help you progress optimally. As summer rolls around, it's a great idea to move your cardio workouts outside, taking in the fresh air and providing some fresh terrain and a change of scenery. Since your body will adapt to a given type of cardio quite quickly, mixing it up with a few variations of outside cardio may just be the thing you need to get seeing results once again. There are a variety of different outdoor cardio methods you can do, so interchanging them among each other regularly will help prevent boredom from setting in while helping you progress optimally. Here are some to consider. First up on the list of summer cardio activities is running stairs (bleacher runs). This is a great way to work the glutes and quads while torching calories at a rapid pace. It's often a lot more interesting than using the stair mill at the gym and it'll allow you to easily do your cardio in sprint fashion as you sprint to the top and walk back down again. A second great cardio activity to do during the summer months is rollerblading. When done properly this is another exercise that will strengthen the quads and can be comparable to that of running in terms of total calorie burn. The thing to watch with rollerblading is that you're taking a slightly deeper bend in the knees as you blade and are extending the leg outward back behind you. This will place more tension on the quads as well as help work the outer thigh muscles as you move through the full range of motion. Moving on, the next activity that's great to perform for cardio purposes is uphill sprinting. This basically takes your classic interval sprints, which are already incredibly effective on their own, and kicks them up a notch. To perform it, decide upon how long you want your sprint to be and then find a hill of corresponding length. 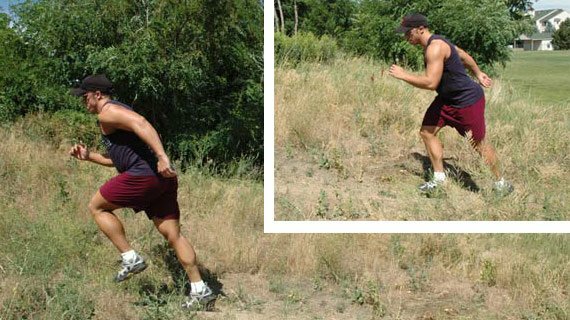 If you are doing shorter, high-intensity sprints, you want a short and steep hill, while if you're doing slightly longer sprints at a bit lower of an intensity, you will want a longer hill to run up. Perform them by running up and then walking down once you've completed it, repeating the process six to ten times. Swimming is a form of cardio that many people overlook for having good benefits but if you're doing it at a high enough intensity, it's definitely going to give you a good workout. With many people taking trips out to the lake during the summer, if you can find a nice clean lake, going for a swim in the morning is the perfect way to get your cardio in before the day starts. Alternatively, find a pool nearby that has lanes and aim to swim 15 minutes of lanes total, adding five minutes each week until you can go for 40-to-45 minutes straight. If you aren't up for the hill running described above, another way to boost your calorie burn over that of simple running is to take it to the beach. Due to the fact that you aren't going to have a firm surface underneath your feet, your body is going to have to work harder to maintain balance, working the muscles to a greater degree in the process. Be sure if you are going to perform this cardio that you wear supportive running shoes since you'll be at a higher risk for twisting your ankle while running on the sand. 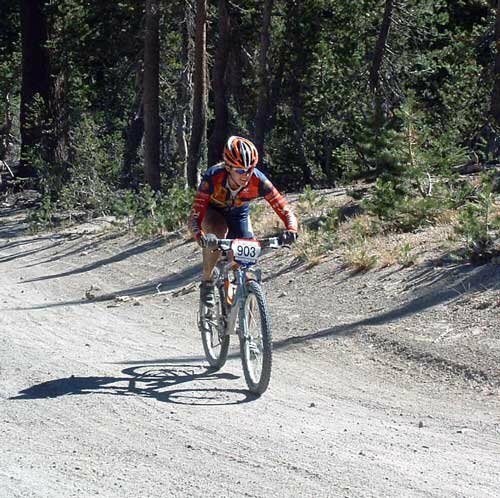 Start slower than your usual pace to allow your body to adjust to the movement and get comfortable on the new terrain. Further, if running is not your thing period, consider hiking. Even though it may not feel quite as intense as running will, you can still get a fantastic workout from going on a longer hike, especially if you're using hiking poles (which ups the calorie burn). Extra points if you choose to hike in an area that has a number of hills, which will help to work the quads, glutes, and calves. You've likely seen the rowing machine sitting at the gym, but perhaps you've never ventured to try it out. Now that summer's here, give canoeing or rowing a try. It can be a great activity to do as a larger group and will provide a thorough upper-body workout. It's also a great form of cardio for those who do heavy lower-body workouts (with not as much focus on the upper body) since the legs won't be called into play to that great of an extent during this form of cardio training. 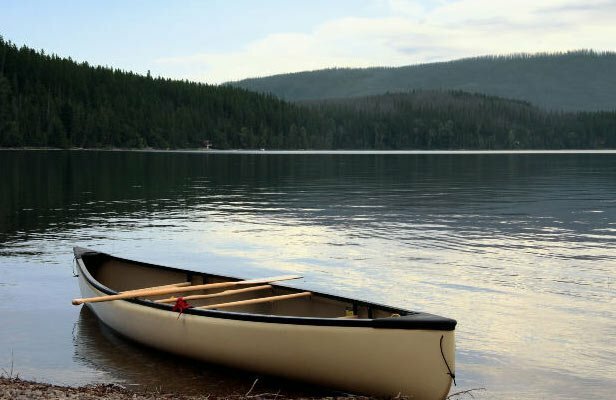 Now that summer is here, give canoeing or rowing a try. Another beach activity that some people enjoy for cardio is beach volleyball. This activity is more 'stop and go' in nature than some of the continuous cardio activities listed above, but you can still get a good calorie burn if you play for a decent period of time. If you're someone who enjoys racket sports, give tennis a try. It's going to really keep you moving around and will burn between 400-600 calories per hour depending on how hard you play. It's also a good way to work the upper body as well as the lower body, making it a great full-body workout option. Finally, the last summer cardio activity to consider is distance cycling. There are a number of bike tours that go on throughout the country during the summer months so consider training for one of those if you're up for it. Cycling outdoors will be similar to that indoors in terms of workout, but the outdoor nature should make it much more enjoyable. Nature should make cycling much more enjoyable. So, next time you're feeling slightly bored with indoor cardio, don't hesitate to move it outdoors. There are so many benefits and your enjoyment factor will go way up.